The Bible says, “‘In your anger do not sin’: Do not let the sun go down while you are still angry” (Eph 4:26). Anger itself is not bad or sinful; everyone including God experiences it. However, anger can lead people to do and say regrettable things. Many people seek counselling because of an anger problem. While some people find it difficult to explain what causes them to feel anger, the common causes can be frustration, threat, or perceived threat of physical or psychological harm, injustices, sadness, threats to our social standing, and threats to our financial or emotional security. We all experience and react or respond to feelings of anger differently, but there are some common anger styles. Anger is - hidden from others and not expressed. Anger is - denied and pushed down. 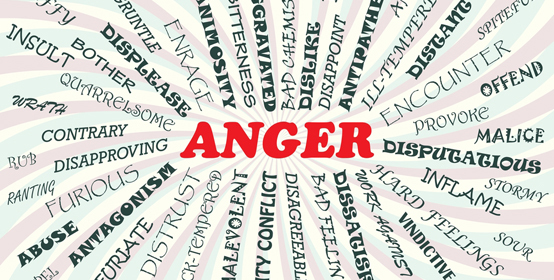 Sources of anger are - identified, acknowledged, and processed. Anger is - transformed into actions that result in positive and beneficial outcomes. When someone does not appropriately address feelings of anger, it can result in depression, anxiety, sickness, isolation, accidents, workplace tensions, relationship problems, separation, and even divorce. Anger can be a positive emotion; it can let us know that something might be wrong. For instance, feelings of anger could let us know that someone has violated or threatened our physical, emotional psychological boundaries. Anger can also point to other emotions we may be feeling such as jealousy, sadness, guilt, fear, or resentment.